By Miriam Rasch, November 22, 2013 at 11:33 am . Society of the Query #2 videos and blog reports are now online! If you missed out on this year’s conference or would like to experience it again, be sure to check out the videos below, where each presentation can be viewed in its entirety. Society of the Query #2, an initiative of the Institute of Network Cultures, Hogeschool van Amsterdam, took place in Amsterdam, on November 7th and 8th 2013. It brought together 25 speakers divided in six sessions, including an art session. 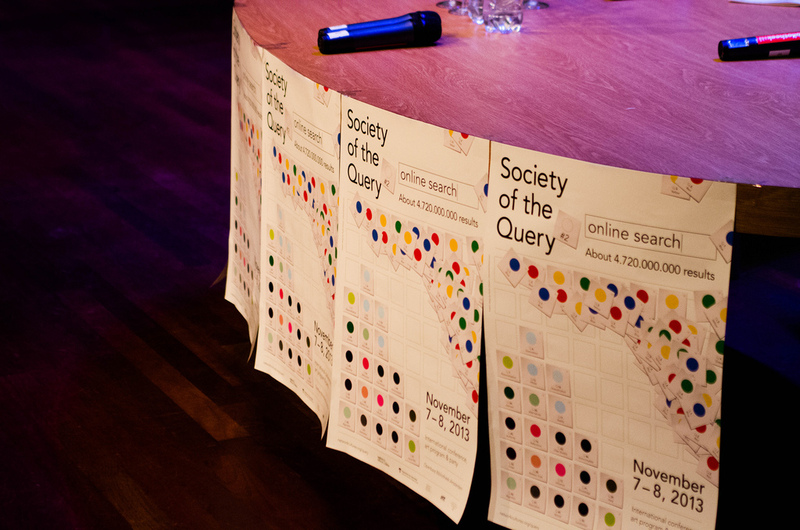 Two hundred people attended the event at the 7th floor of the Amsterdam Public Library, which, for two days, was the world’s hottest search engine hub. You’ll find all the blog posts and videos on the Report page.